Check out if Geneva Call is in The Top 100 NGOs 2013 Edition! Holding armed non-state actors accountable. Expanding protections in 10 conflicts. While NGOs have long been at the forefront of initiatives to curb the suffering of civilians caught up in violent conflict, the state-centric nature of international humanitarian and human rights law has failed to account for the growing influence of non-state actors. 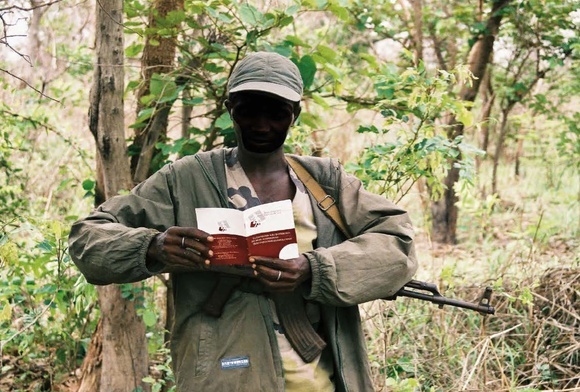 Founded in 2000 with a view to addressing this gap, Geneva Call seeks to engage armed groups in a constructive dialogue aimed at persuading members to respect specific humanitarian norms. In practice, Geneva Call’s pioneering efforts have centered on using specially developed ‘deeds of commitment’ as a means to hold organized armed entities primary motivated by political goals, operating outside state control and lacking the legal capacity to become party to relevant international treaties accountable. Though largely focused at inception on banning the use of land mines and cooperation with mine clearance activities, Geneva Call’s work has expanded to encompass child soldiers and the elimination of gender-based violence in conflict zones. Engaging non-state actors is not without controversy. Nonetheless, after 10 years the organization has led a normative shift in state thinking, while securing concrete commitments from 41 different armed groups across Africa, Asia, the Middle East, Latin America and Europe.